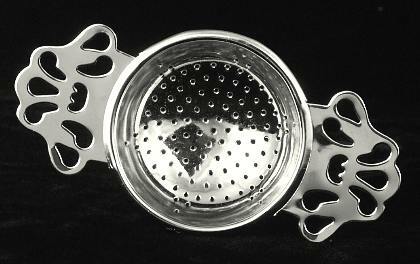 Strain your tea into your cup using this pretty English style tea strainer. Dishwasher safe. Stainless steel.